The House will meet on Thursday, April 4, 2019 at 10:00 a.m. and again on Thursday, April 11, 2019 at 10:00 a.m. There will be a Republican caucus on Thursday April 4th at 9:00 a.m. in Rooms 301-303, LOB. The House Finance committee will hold their executive session on HB1 & HB2, bills pertaining to the state budget, beginning Monday at 1PM, and continuing through Wednesday. Republicans on the committee have been fighting against the irresponsible spending and egregious tax and fee increases included in the plan, and we will be sending along details and talking points once it is finalized. Be advised that the following week, there will be a presentation on the Democrats’ budget proposal in Representatives Hall on Tuesday, April 9th from 10:00 a.m. to 11:30 a.m. The budget bills will be before the House for a vote on Thursday, April 11th. “Granite State progressives are trying to kill the deal by filing lawsuits on behalf of put-upon people who are required to do 100 hours of work or community service a month in exchange for free healthcare.”Read the full story here. “New Hampshire’s Education Tax Credit Program is under fire from legislators who want to kill the program or reduce its funding. Unfortunately, much of the rhetoric accompanying these attacks is factually incorrect. Inaccurate and misleading statements have been used in testimony at legislative hearings, in public debate, and on social media in an attempt to discredit the program. You can read or download their briefing paper on their website. What is required to override a governor’s veto of a bill? To successfully override a governor’s veto, a 2/3 (or greater) majority of members present and voting must vote in favor of the override in both the House and Senate. Example: If 350 House members vote on an override, 233 votes are needed to override. If 375 House members vote on an override, 250 votes are needed to override. There are currently 233 Democrat members of the House, therefore, if Republicans vote together, they could sustain any prospective veto. If I support the Governor’s veto, what button do I push? The question before the House will be “Notwithstanding the Governor’s veto, shall HBXX become law?”. Therefore, if you support the Governor’s veto, you would press the RED button. If you support the bill becoming law, you would press the GREEN button. Is the House required to act on the Governor’s vetoes? Yes. Part II, Article 44 of the New Hampshire Constitution requires that the House act on the governor’s vetoes prior to the start of the new session. We’re not sure when the current speaker plans on addressing vetoes just yet, but he technically has until January to bring them forward. Are there opportunities to offer an amendment to a vetoed bill? No. The question before the House will be “Notwithstanding the Governor’s veto, shall HBXX become law?”. The bill will not be open for amendment or modification. DETAILED EMPLOYMENT DATA RELEASED At 2.3 percent in February, the NH portion of the Lebanon NH-VT Micropolitan New England City and Town Area had the lowest unemployment rate in the state. February 2019 unemployment rates for New Hampshire labor market areas (notseasonally adjusted) ranged from 2.3 percent in the NH portion of the Lebanon NH-VT MicroNECTA, to 4.4 percent in the Berlin NH MicroNECTA. Labor force statistics for counties, labor market areas, and selected cities and towns are now available at www.nhes.nh.gov/elmi/statistics/laus-data.htm. Data for these areas are not seasonally adjusted, and should be compared with the not seasonally adjusted New Hampshire data (found at the top of the table). Rep. Erin Hennessey for the Minority of Finance. This bill is yet another roadblock for NH young adults looking to stay in our fine state and make a living. Not previously in statute, this bill requires a body art apprentice to pay a biannual fee of $110. An apprentice can only learn under the direct supervision of a licensed body art professional. Should NH also charge an apprentice fee for students learning poetry under the supervision of a professor at UNH, students studying accounting under supervision of an adjunct professor at CCSNH, or a student studying automotive technology under the supervision of their teacher at a CTE? No, we should not. NH needs to stop adding costs to those looking to learn and live in our state. As amended, this bill also adds a new fee for massage establishments employing two or more massage therapists. This fee is in addition to the licensing fees paid by each of the massage therapists. Rep. Charles Burns for the Minority of Ways and Means. 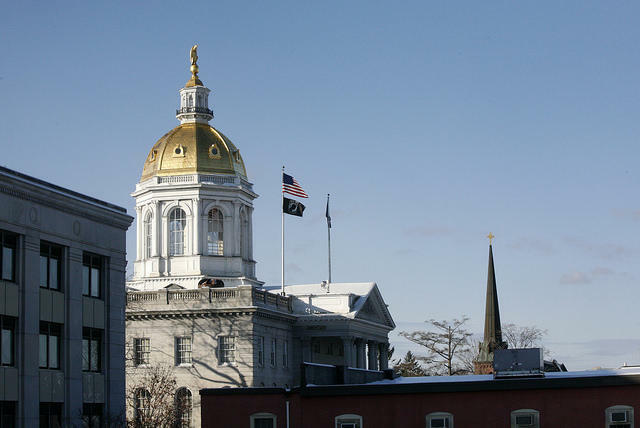 Passage of this bill would be a major change of mindset for NH. Last term, the legislature refused to allow a local occupancy tax or fee to support local needs. Passage of this bill establishes a dangerous precedent by allowing local jurisdictions to impose a local occupancy fee. If a local occupancy fee is allowed, we would be opening up a Pandora’s box for future local fees and taxes on other types of sales. Hotels generate significant property taxes and spur other economic activity without adding significantly to the local education costs. The minority believes these funds are adequate to support the level of services required to handle this increase in local activity.